Mary Grace Bertulfo | Writer. Story-gatherer. Every wonder tells a tale. Mary Grace lives and writes at the intersection of nature, culture, and spirituality. She has written professionally for television and children’s education in such venues as CBS, Pearson Education Asia, and Schlessinger and for conservation magazines such as Sierra and Chicago Wilderness. Her award-winning fiction has appeared in Growing Up Filipino II, Our Own Voice, and The Oak Parker and her essays have appeared in various anthologies. 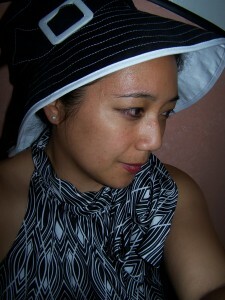 She is a co-owner of Calypso Moon Studio, a working arts studio, in the Oak Park Arts District. Mary Grace is a member of the international N.V.M. and Narita Gonzalez Writers Group, the Historical Novel Society, New Moon Mondays, and the Acorn novelist workshop. She has served on the board of the Oak Park Arts District and was a local network rep for the Society of Children’s Book Writers and Illustrators. In 2017, she founded Banyan, an Asian American Writers Collective whose mission is to promote the visibility of Asian American Writers in Chicagoland and to uplift community spirit through the arts. For Mary Grace writing is a spiritual practice, grounded in her Filipino heritage and gratitude to Mother Earth, Inang Mundo. She welcomes opportunities to build community and is available for speaking engagements. “The Community Builder”. Oak Parker Magazine. Awarded First Place in the Oak Parker Short Fiction Contest. Spring 2015. “Shiny Black Boots”. YA. Growing Up Filipino, Volume 2. Editor Cecilia Brainard. PAHL and Anvil Press. 2010. “Mountain Beauty”. Elephant Journal. 2015. “Ted Stone Morning”. City of Big Shoulders: An Anthology of Chicago Poetry. Ryan G. Van Cleave, Editor. University of Iowa Press. 2012. “Seeking Refuge”. 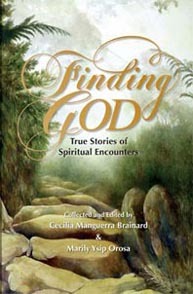 Creative non-fiction, spiritual writing. Riksha Magazine. Spring 2017. “Love at the 7-11”. Voices Amplified Series. StoryStudio Chicago. January 2017. “Letter to Querido, an Ethereal Epistle”. Remembering Rizal, Voices from the Diaspora. Edwin Agustín Lozada, editor. PAWA, Inc. 2011. Honoring Our Ancestors. Essay, spiritual writing. Our Own Voice. Special issue on babaylans (Filipino shamans) edited by Leny Mendoza Strobel and Aileen Ibardaloza-Cassinetto. 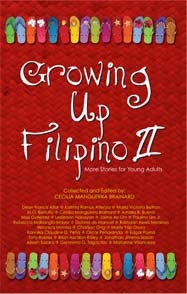 Literary ezine of the Filipino diaspora. August 2010. “The Fullness of Time”. Creative nonfiction. Finding God. Cecilia Brainard & Marily Orosa, Editors. Anvil Press. 2009. “Promise on the Prairie”. Feature article. Sierra Magazine. 2009. Conservation features and profiles for Chicago Wilderness Magazine. 2007-2008. Keynote and “Sanctuary Journal” workshop leader for Unitarian Universalist Women’s Connection (Midwest Region). October 2018. “From Tsismosa to Writer”. Presentation for Filipinos in Chicago panel. Filipino American National Historical Society Biennial. July 2018. “Story is Medicine”. Keynote for Unity Temple’s “Women’s Connections Retreat” whose theme was “The Power of Story”. February 2018. “The Shroud of Tremaine, Or a Lady’s Confession”. Commissioned narration for the Edgar Allen Poe Halloween Show at Historic Pleasant Home. Fall 2017. Selections from middle-grade poems Grace in Manila (work in progress): “Advice for Visiting Relatives”, “Jeepney”, “Flip-flops”, “Cory in Yellow”. Banyan, Asian American Writers Collective. Inaugural Celebration. Oak Park Main Library, Veterans Room, to an intergenerational audience of 95 people. Co-organizer and emcee. June 2017. “The Lamentation of Miss Nellie”. Historical fiction, narration for the Edgar Allen Poe Halloween Show. Commissioned by the Pleasant Home Foundation. Historic Pleasant Home. Fall 2016. “Community Building”. Stage adaptation of my short story. Performed at Beyond the Frame: Multimedia Event. Open Door Theater. August 2015. “The Balak of Hawk and Kaliso”. Lyons and Typers event. The Uptown Writers Space. 2009. The Know Your Heritage Show. CBS and Central City Productions. Researcher and writer. 2001 & 2002 seasons. “Jun and the Magnificent Moonbeam Supreme”. The Chicago Children’s Museum. Philippine Bayanihan Exhibit. 2000. “Hands and Faces.” Poem. Celebrate English! Coursebook. Pearson Education, Asia. 2002. “People of the Rainforest.” Script writer for children’s educational video. ERI Communications & Schlessinger Productions. 1996. A novel. A sixteenth-century woman shaman and her sisterhood defy Ferdinand Magellan’s invasion of the Philippines.